It was a chance discovery. Looking for freshwater fish, crabs and shrimps in an icy-cold dola in Sinharaja’s unique mist-mantled Morningside Forest Reserve, what they found was a “different” water plant instead. “This freshwater aquatic plant was different though it was definitely from the kekatiya (Aponogetonaceae) family,” says Anusha de Silva, President of the Wildlife Conservation Society, Madura, Galle, who was part of the study team which had gone on the ‘fishing’ expedition to the Illumbakanda . Doubtful at first, it has now been ascertained that it indeed was different and they had stumbled on a new species of kekatiya. 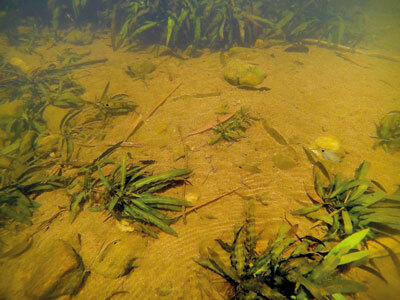 Their discovery, Aponogeton kannangarae, has been published in the reputed Phytotaxa journal on Wednesday (August 31). The other authors of the scientific paper are K.M.S. Deshaprema and J.P.J. 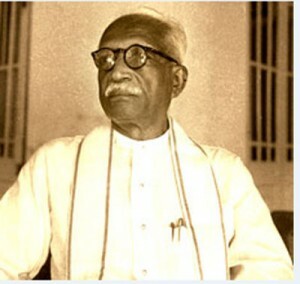 Manamperi, while several members of the society had been part of the team as field researchers. 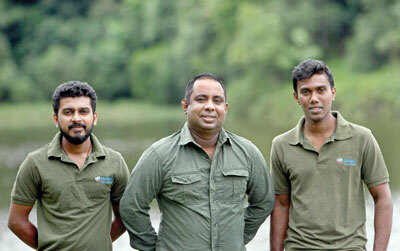 This is the first time that Sri Lankans have described an aquatic plant in the country, the Sunday Times learns, for before that the four species of kekatiya found here had been brought into the public eye by foreigners. It is also the first time that an eminent local, Dr. C.W.W. Kannangara of free education fame, has been honoured by bestowing his name on the new find. All others are named after foreigners. Twenty-three years ago, a diverse group from different professions including medicine and engineering, drawn by their passion to study and conserve nature had come together as the Wildlife Conservation Society. The glue that binds them, with their base being Richmond College, the alma mater of Dr. Kannangara too, being love of nature, their aim has been crystal clear — to conserve this precious commodity through education. “We are not placard-carrying, slogan-shouting environmentalists. We do the difficult work on the ground and provide the vital ‘arms and ammunition’ for scientists to fight for conservation,” says Mr. de Silva, adding that whatever leisure time they have, be it long weekends or precious annual leave they would set out on their forays into the Sinharaja Rainforest, a Man & Biosphere Reserve and World Heritage Site. The society’s research arm is very willingly sponsored by the Nations Trust Bank. The society’s concentration has been more on animals (fauna) in the Southern Province than plants (flora), working with the Biodiversity Secretariat up until 2010. The Morningside Forest Reserve with its unique habitat of sub-montane rainforest was of special interest. It was on an arduous expedition through gloomy terrain, carrying everything they needed such as tents, laptops, communication systems, first-aid necessities, simple rations like noodles and canned fish and a few vegetables, a small gas-cylinder and even a solar-power pack, that the study team had set up camp, a day’s walk from the nearest human settlement just before they noticed the “different-looking” kekatiya plant. “We always carry water because if we pick up bacteria by drinking naturally-available water, it would scuttle our mission,” explains Mr. de Silva, adding that on such journeys they hike and trek over difficult, slithery and slippery terrain and also come across many dangers such as snakes and rapid waters. They have also undergone training to deal with emergency situations. Looking to study freshwater invertebrates in the Illumbakanda dola, they noticed a ‘stranger’ among the plants adorning this waterway. “The leaf shape was different for those in the wet zone in the 1,000-metre elevation we were at,” says Mr. de Silva. Having close links with environmentalist Rohan Pethiyagoda, when they mentioned their puzzlement over the stranger, he pointed them in the direction of a possibility of a new species. Then they pored over old literature digging out information on the four species of kekatiya in Sri Lanka – two in the Wet Zone, one in the Dry Zone and one in the upcountry areas of Horton Plains and Nuwara Eliya. The kekatiya plant that they had spotted in the Morningside Forest Reserve bore similarities to the two species in the Wet Zone as well as the species in the Horton Plains and Nuwara Eliya area. Intrigued, they decided to launch a full floral study including taxonomy and distribution, requesting permission from the Forest Department and the Department of Wildlife Conservation which they were able to secure in 2015. Turning to Dr. Siril Wijesundara, retired Director-General of the Department of Botanical Gardens, for guidance, the extensive collection of plant specimens being conserved at the National Herbarium ensconced within the Peradeniya Botanical Gardens, was opened up to them. He had also put them in touch with international scientists to get their views. The laboratory work began thereafter. The vegetation (leaf) characteristics among plants in a specific species could change, says Mr. de Silva, explaining that the shape, width or length of the leaf could differ depending on the environment the plant is in such as the water-depth and the flow-rate and also the sunlight it is exposed to. “However, reproductive characteristics remain the same,” he says……..and that is the dive they took, peering closely at the flowers and seeds. Not only were the reproductive characters different to the four species of kekatiya described before, but even the leaf characteristics were dissimilar. “It became clear that it was a new species,” says Mr. de Silva. But their labours were not over – next, through comparison, the team had to ensure that there was no other plant similar to what they had found elsewhere in Sri Lanka and in other regions such as Asia and Australia which had kekatiya. They had to make sure that theirs was the ‘first record’ of the species. Again it was Dr. Wijesundara who extended a helping hand by putting them in touch with the famous herbarium of the Royal Botanical Gardens in Kew, United Kingdom, which stores specimens from all over the world. Certain by now that the kekatiya plant they had seen as strange was in fact a new species, the team next submitted their research article to Phytotaxa, one of the most reputed botanical journals in the world, at the beginning of this year for peer-review and comments from renowned botanists. The research has just passed muster and been published on Wednesday (August 31), crowning all the hard work. 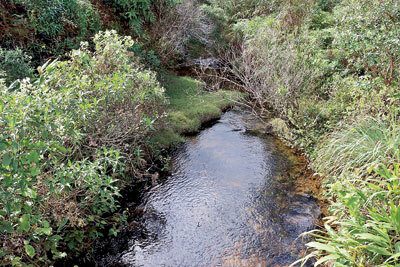 Mr. de Silva, however, laments that people give step-motherly treatment to the Morningside Forest Reserve when compared to the much-spoken and visited Horton Plains. The habitat of Morningside is unique, he says, citing the example of Mr. Pethiyagoda discovering 10 point-endemic amphibians here. Moving to aquatic plants, he is concerned that people see them only as being of commercial value as they are unfortunately exported for the ornamental fish trade. “Water plants are different and unique at the same time and enhance the biodiversity of Morningside. If there are any threats to the environment, a humble plant like this kekatiya, Aponogeton kannangarae, which is point-endemic could very well turn into its saviour,” adds Mr. de Silva. This is why Galle’s Wildlife Conservation Society will continue to search for new species – making discoveries to protect and safeguard biodiversity hotspots through science. The Father of Free Education, Dr. C.W.W. Kannangara, has been immortalised through science by a research team in Galle. Aponogeton kannangarae is their humble tribute to Dr. Kannangara who like them was a ‘product’ of Richmond College, Galle, for “his immense service in initiating the free education system in Sri Lanka”. “Naming the latest species of kekatiya, a water plant, discovered by us in the Rakwana hills of the Sinharaja Rainforest after him will ensure that Dr. Kannangara will never be forgotten until science exists, even if this water plant goes extinct,” said the President of the Wildlife Conservation Society based in Galle who was part of the research team, Madura Anusha de Silva. · The two endemics of A. crispus, with a wider distribution in the western, north–eastern and north central parts of the country and A. natans recorded only from Puttalam and Hambantota districts and a few localities along the eastern coast. · The endemic A. rigidifolius distributed widely in the lowland wet zone while the other endemic A. jacobsenii with a restricted distribution in a few localities in Nuwara Eliya and Horton Plains in the central hills. Phenology – The flowering of A. kannangarae occurs throughout the year, with the intensity increasing just after the rainy season. Distribution and ecology – The new species is restricted to less shaded, slow-flowing shallow streams in the Rakwana hills in the Ratnapura district. · The plumule (shoot or stem) of A. kannangarae is attached to the section just below the middle of the embryo, while A. rigidifolius has a plumule attached to the bottom of the embryo. · After maturity, the inflorescence (the complete flower-head including stems, stalks, bracts and flowers) of A. kannangarae shows a whorled (twisted) flower arrangement around the inflorescence, while A. rigidifolius shows a spiral flower arrangement. · The fruits of A. kannangarae have a slightly furrowed surface with a short curved terminal beak. · A. kannangarae has a non-branching cylindrical rhizome (underground root stem) while A. rigidifolius has a branching cylindrical rhizome. · The colour of the immature leaves of A. kannangarae ranges from purple to maroon while it is light green in A. rigidifolius. Sri Lanka should exploit its potential ‘Soft Power’- Foreign Sec.